On Friday the 12th December 2011 I attended a training day at the Tatum Institute in Edgbaston, Birmingham as a member of faculty. This day was to train delegates in the Fast and Fixed version of same day teeth. The day started with an introduction by Maya Thompson General Manager and owner of Bredent UK to the Sky Dental Implant system. This was then followed by a treatise of the Fast and Fixed system which aims to help patients who have no teeth or a failing dentition to have implant placement and fixed provisonal teeth all on one day of surgery. Maya’s knowledge of all aspects of the system was impressive but perhaps not surprising given her background of dental technology meaning that technical aspects were particularly well covered. Dr Ben Aghabeigi the clinical director of the Tatum Institute presented a scientific critique of same day teeth in general but also specifically of the Fast and Fixed system. This system aims to provide patients with a full fixed restoration in one day but avoiding the need for complex grafting. This has obvious benefits including reduced time. reduced treatment and therefore cost. 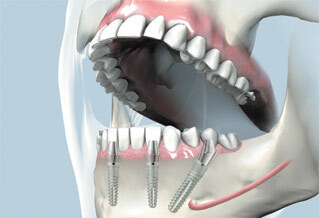 This system review covered essential components of the philosophy including tilted implants, immediate placement and immediate loading of implants. I then led the training for drilling excercises and treatment records and assessment. This was a full day of training with many learning outcomes which was enjoyed by all the participants and presenters. it is always good to have external input to add real life scenarios and interest to academic training.